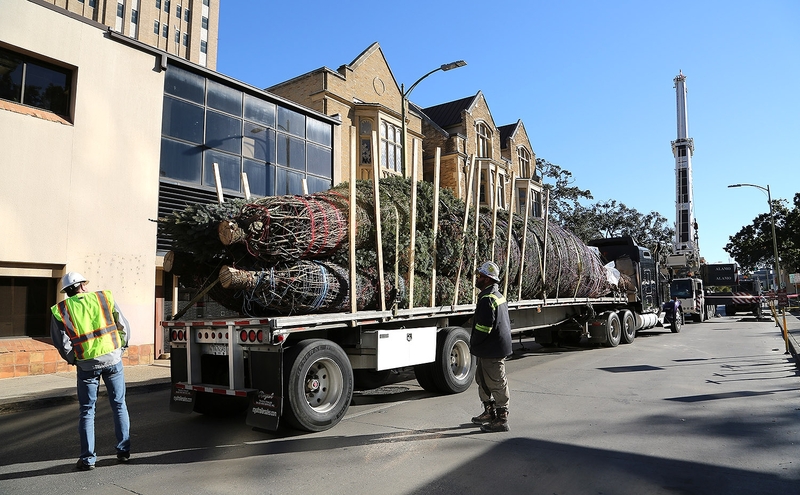 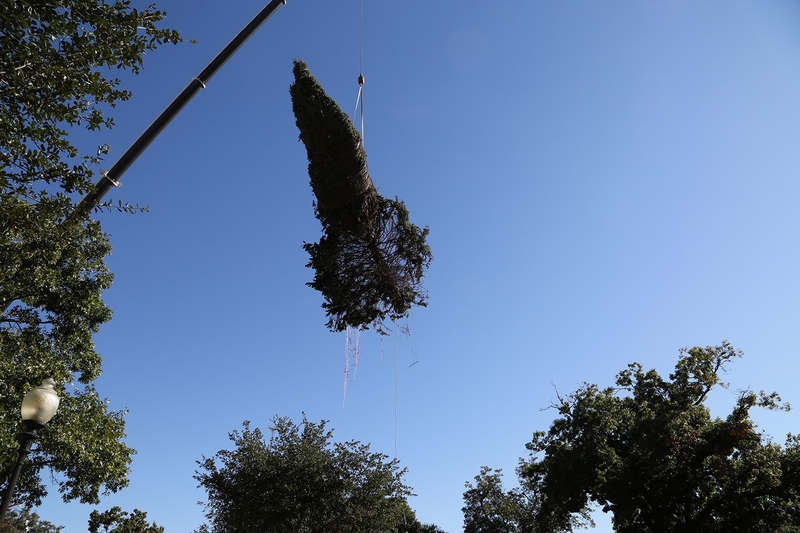 Wednesday morning in sunny 40-degree weather, four Christmas trees arrived at Travis Park. 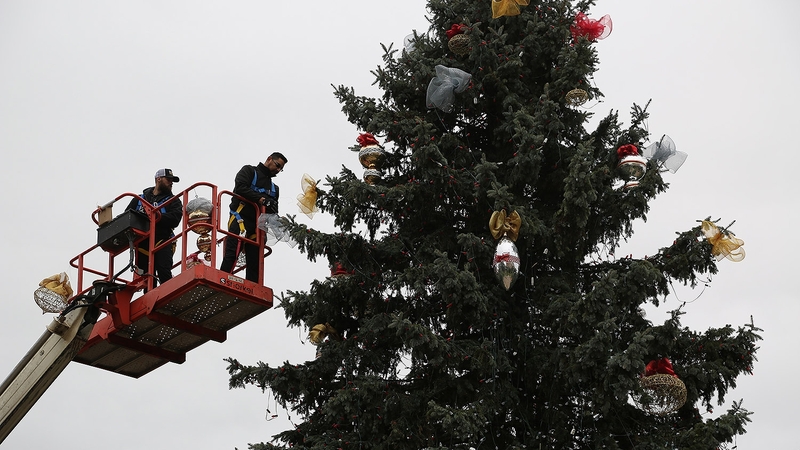 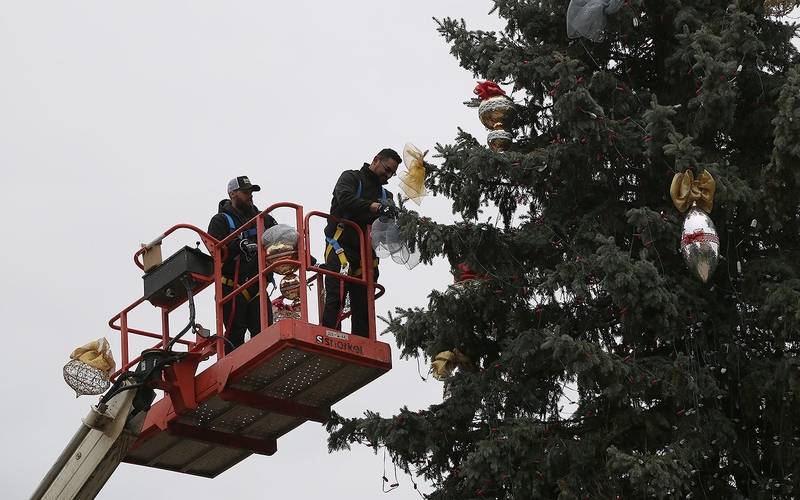 The largest one—a 50-foot Blue Spruce from Northern Michigan—was installed by lunchtime, and in the next few days will be decorated with more than 10,000 red and white lights, and gold and silver handmade ornaments. 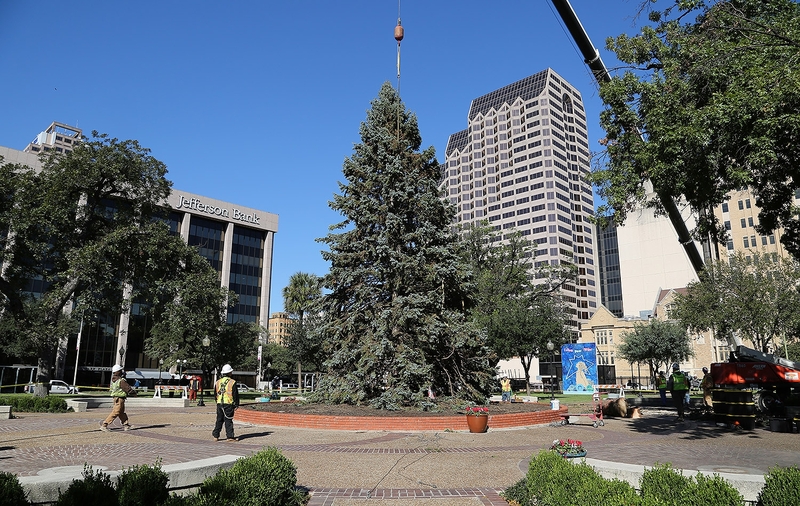 The tree will be the centerpiece for the 34th Annual H-E-B Tree Lighting Celebration, which is scheduled for 3-6 p.m. Nov. 23, the day after Thanksgiving. 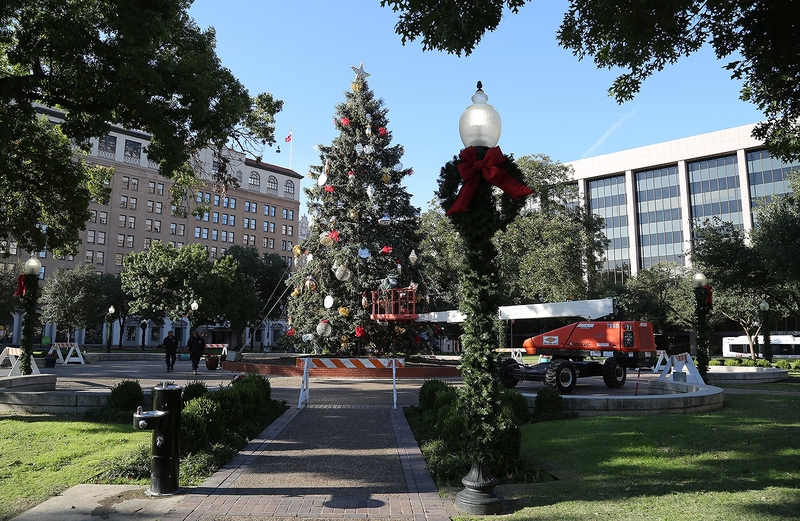 There will be plenty of family activities, including cookie decorating, holiday craft making, letters to Santa Claus, and live music. 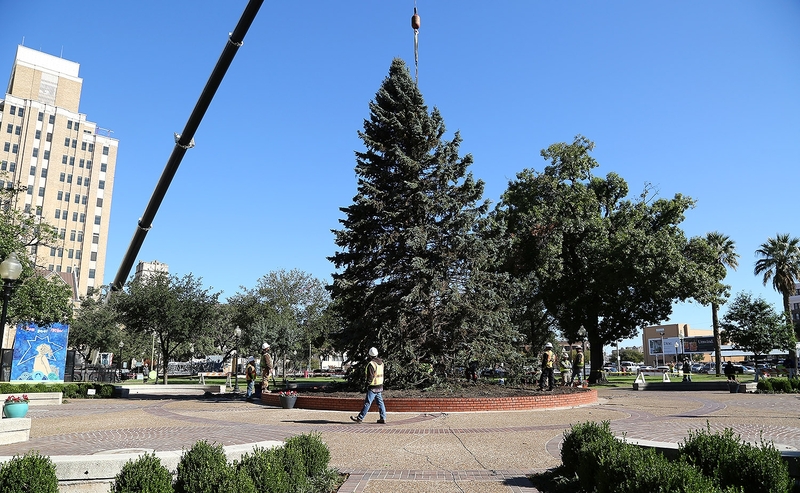 Santa is expected to make an appearance for the tree’s illumination at 6:20 p.m.
Travis Park more permanent trees also will be decorated with more than 250,000 lights. 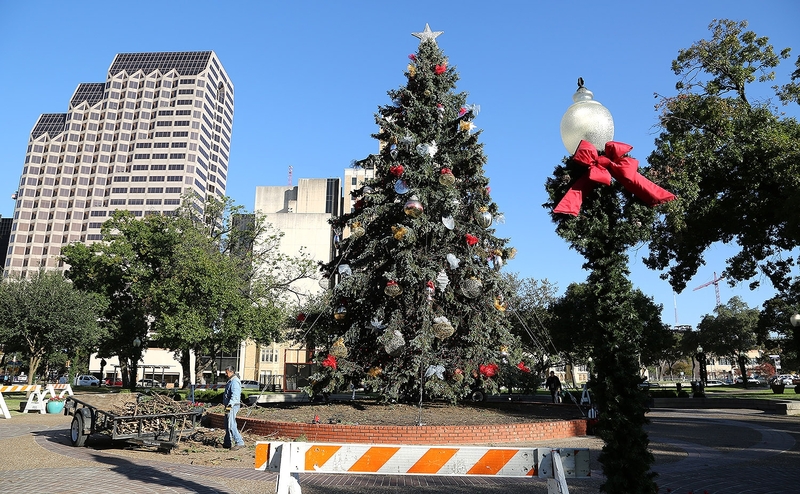 At 6 p.m., the Ford Holiday River Parade, and lighting of the River Walk’s Cypress trees, will begin. 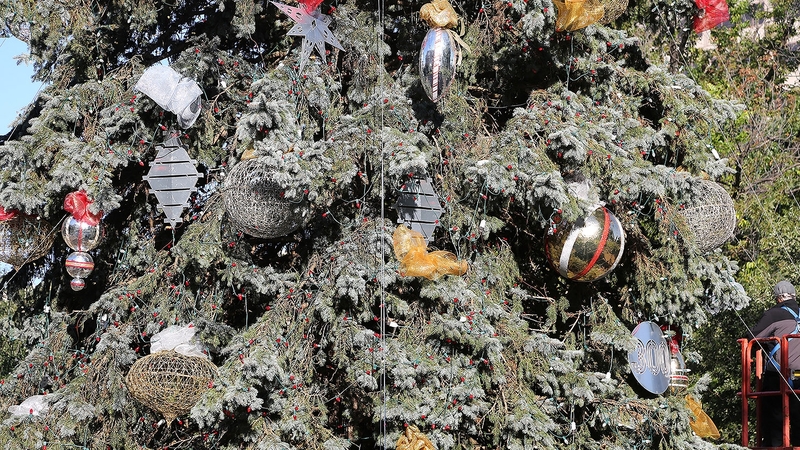 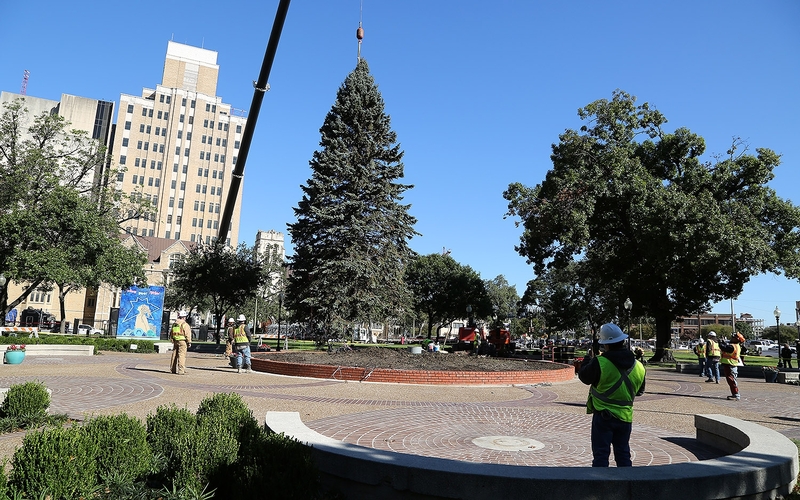 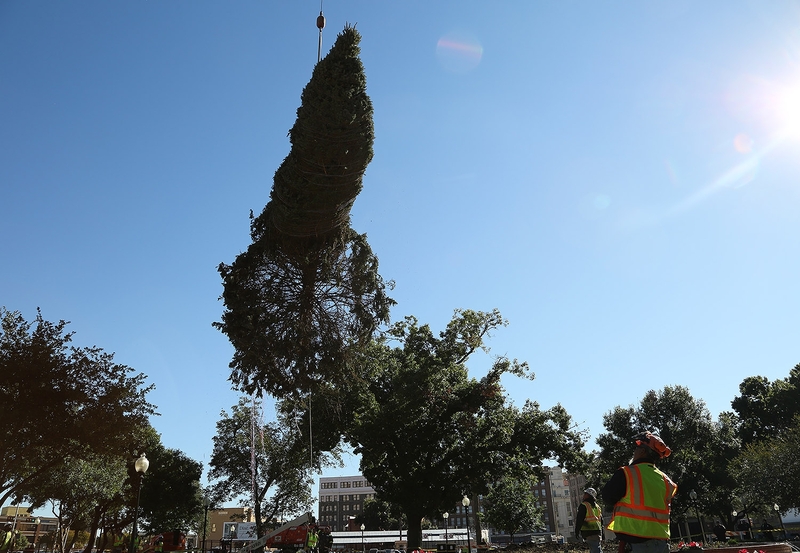 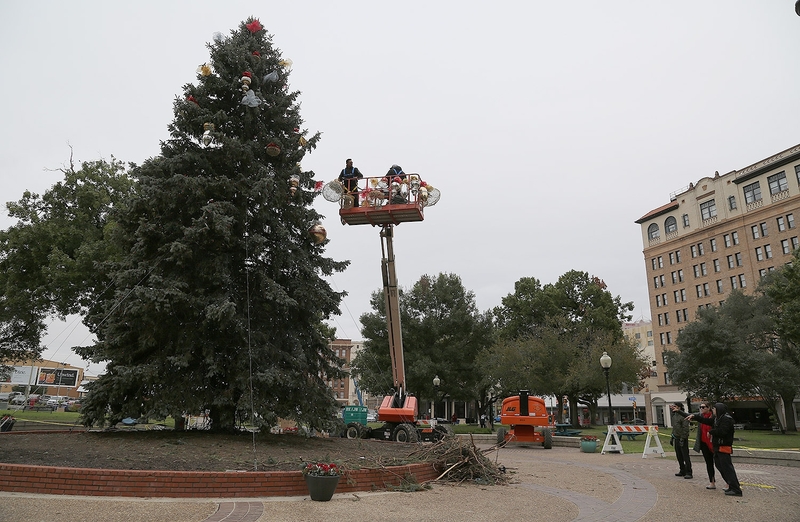 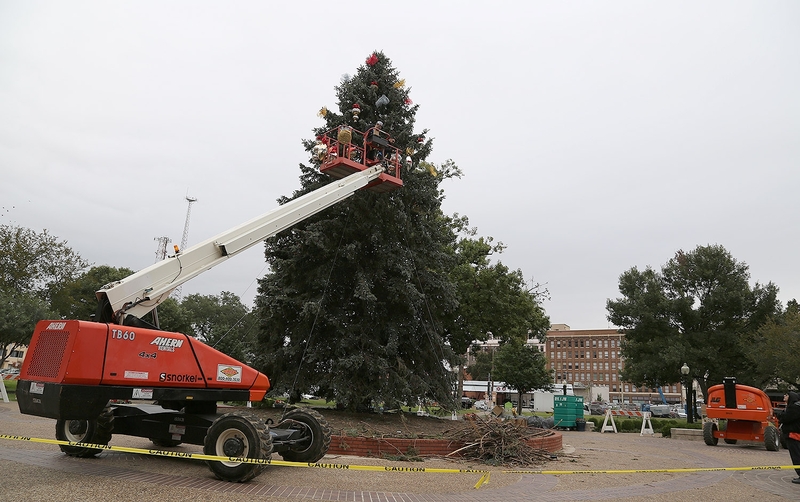 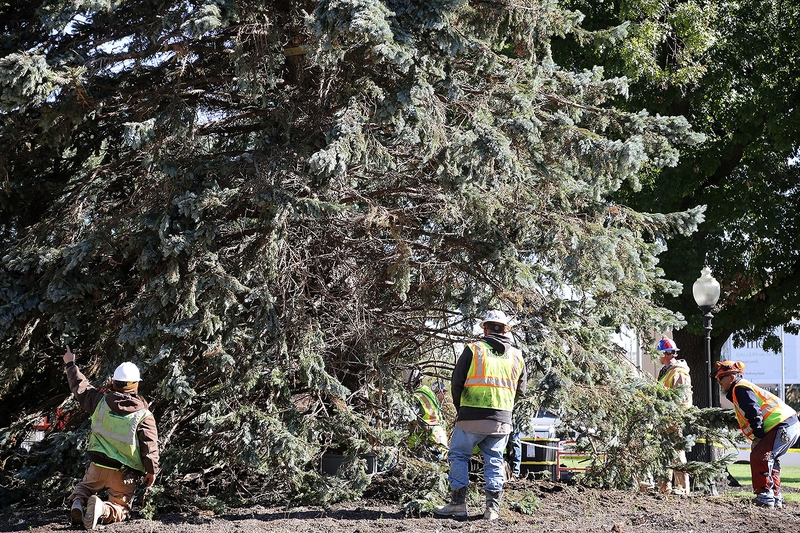 This is the second year downtown’s largest tree loomed over Travis Park. 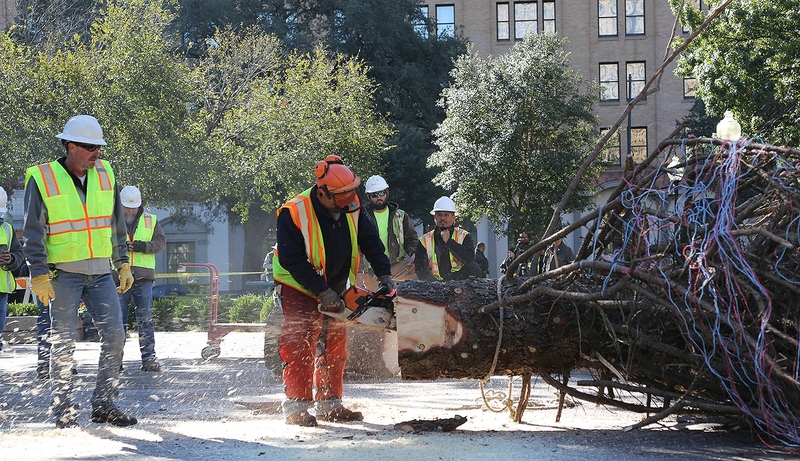 For 32 years, the H-E-B tree stood in front of the Alamo. 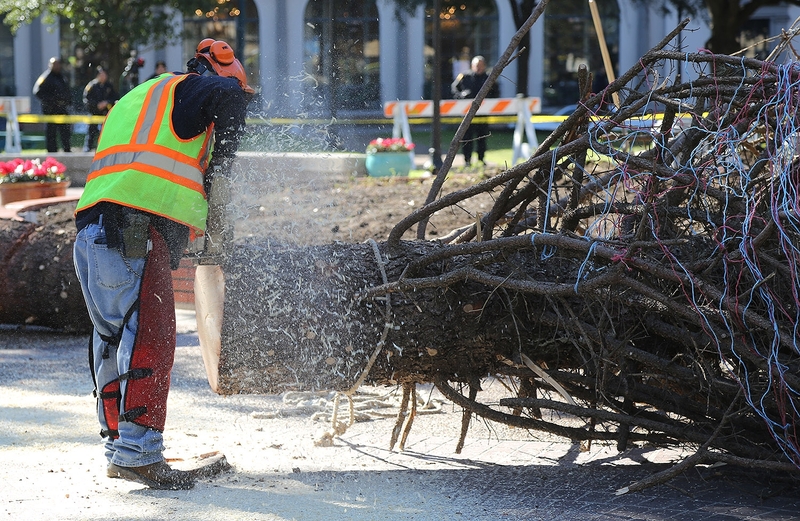 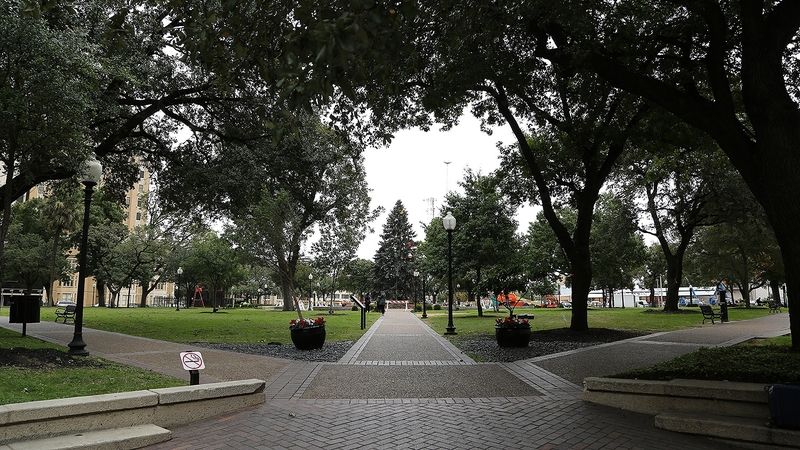 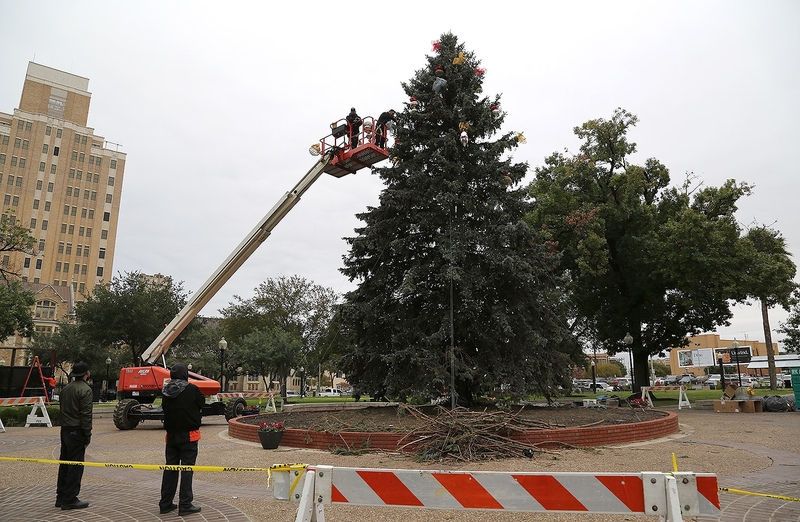 Last year, with mixed reviews, city and H-E-B officials moved the tree to Travis Park, 201 E. Travis St. City officials argued that the move combined the holiday activities at Alamo Plaza with the ones at Travis Park, which include movie nights, musical performances, storytelling and more photos with Santa. 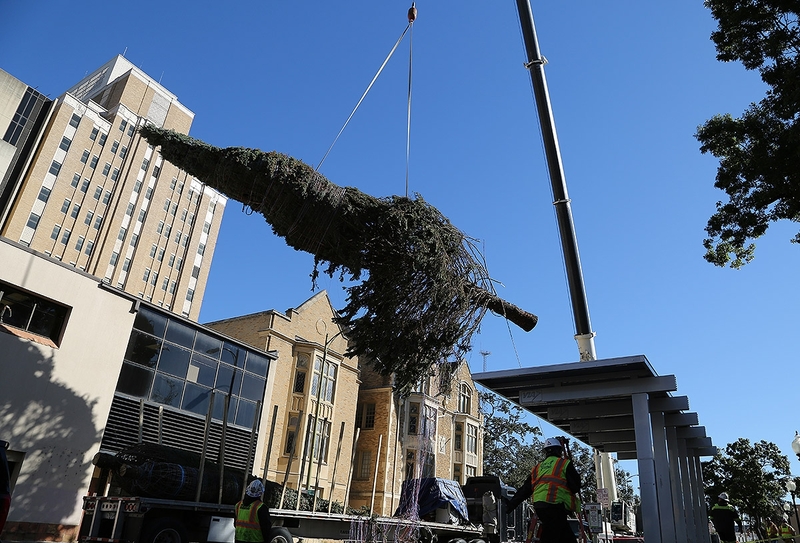 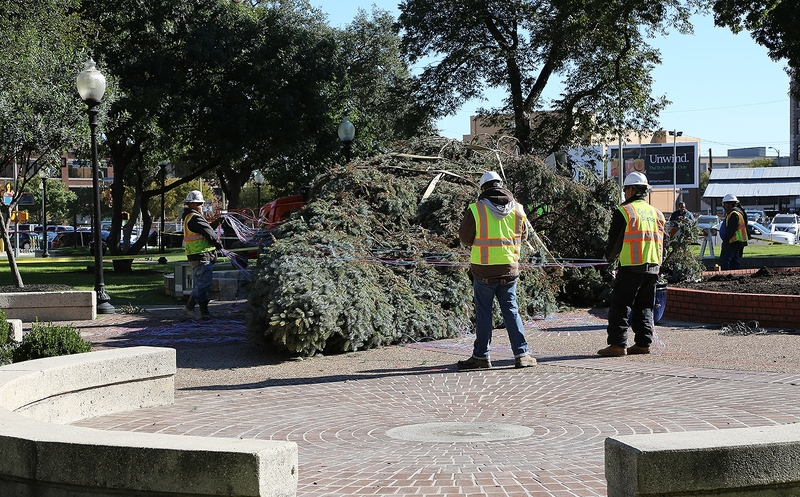 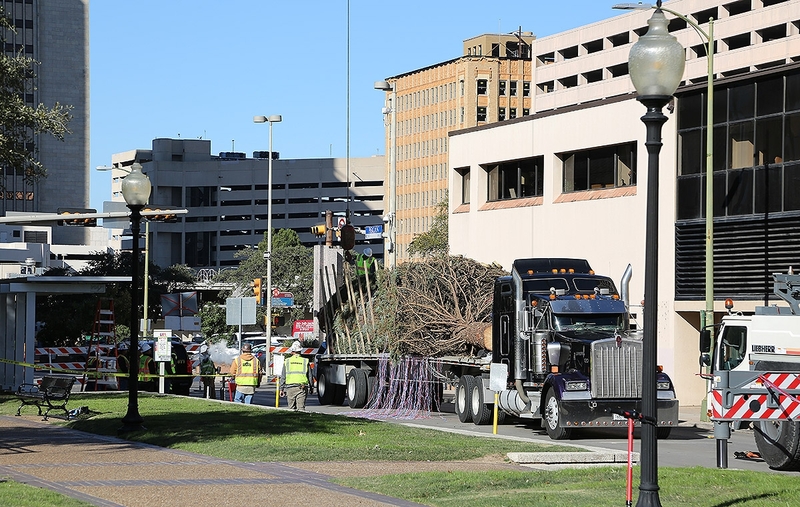 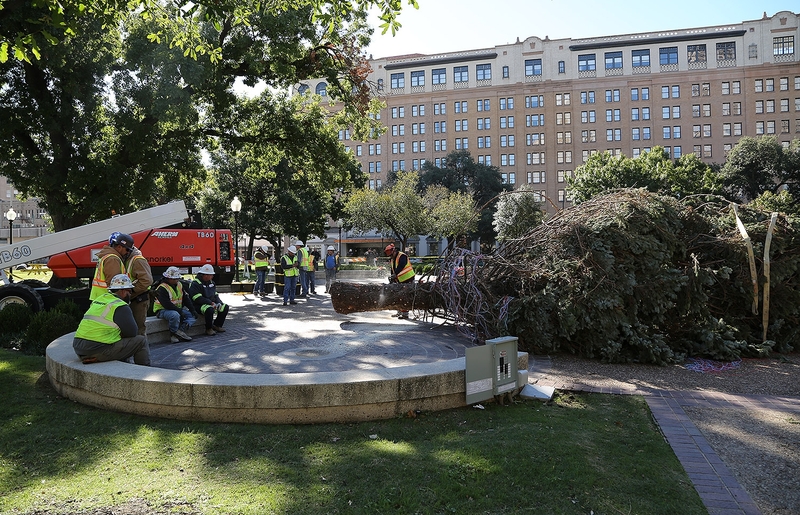 But many people criticized the move, saying that a Christmas tree in front of the Alamo was an iconic image lost with the Travis Park location. 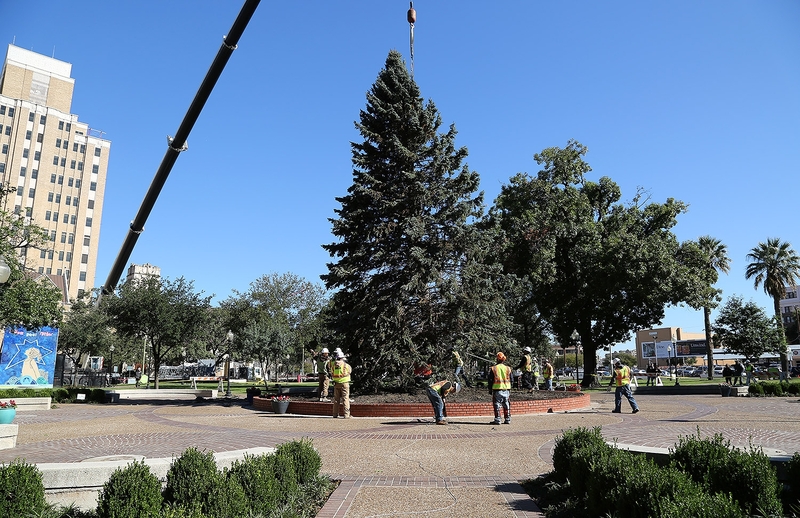 People brought Charlie Brown-esque Christmas trees to the plaza in protest. 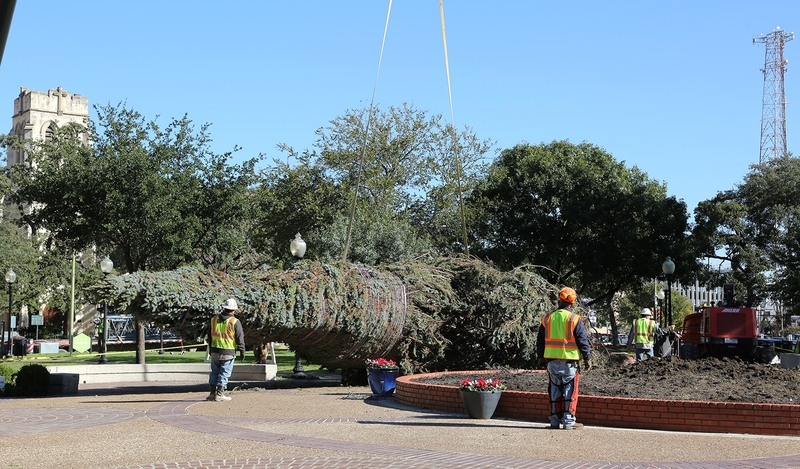 Eventually, H-E-B donated an 18-foot Christmas tree at Alamo Plaza. 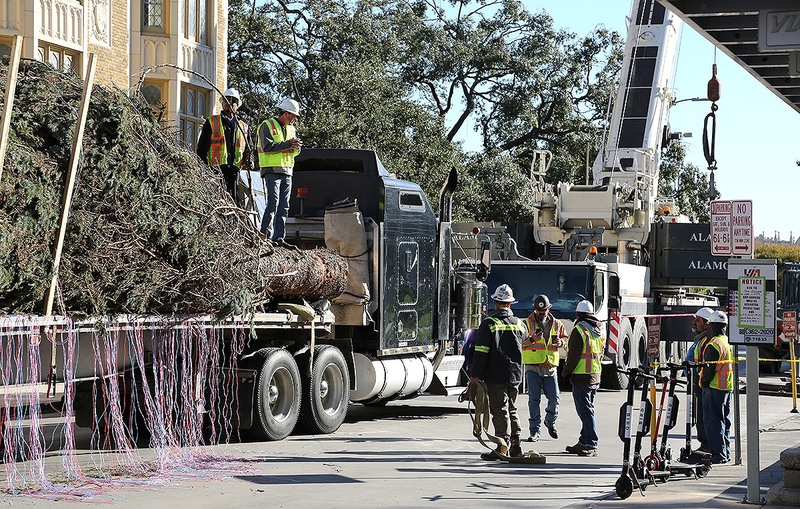 At later dates, two other Christmas trees will be placed on the H-E-B campus, and the other in front of the Alamo—all 20-footers. 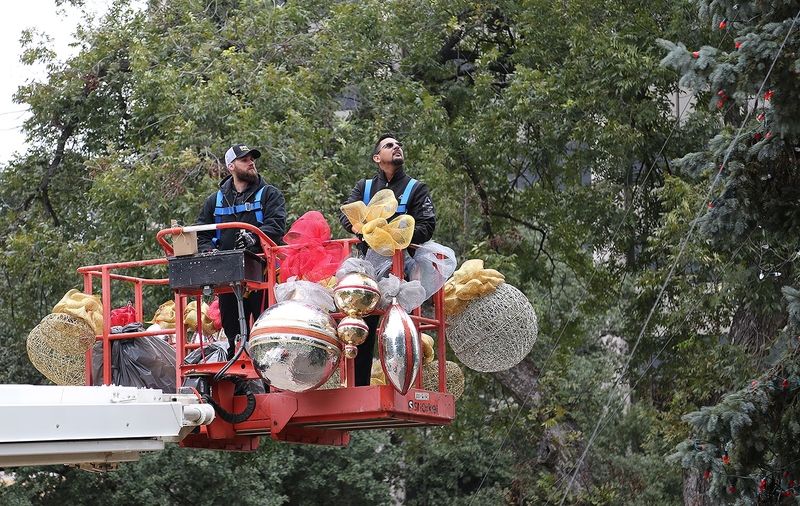 According to a press release, H-E-B commits more than $250,000 each year to the transportation, decoration and lighting of the three.